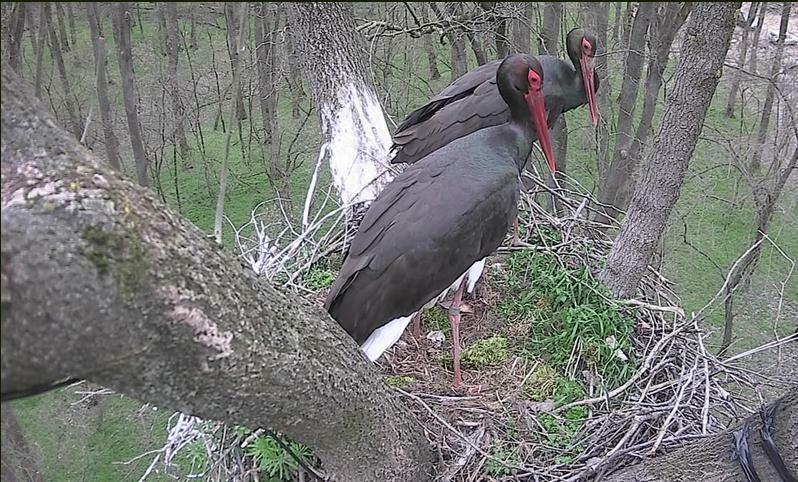 The first black storks have arrived to Gemenc, Hungary. you are so attentive, to post the first signs of returned BS in Europe! Now the Birdmap is "re-opened", and we can watch the moves there back to the North. 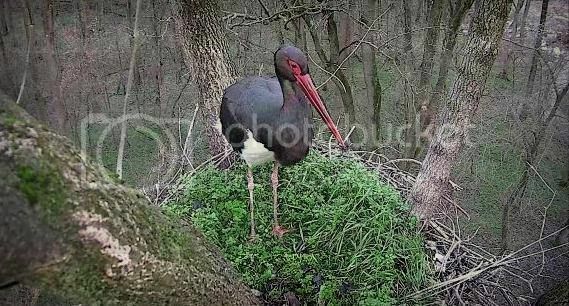 White storks also now started their way back from Africa and Spain to Germany. Some are already here. First signs of nestorations going on and lot of mating. 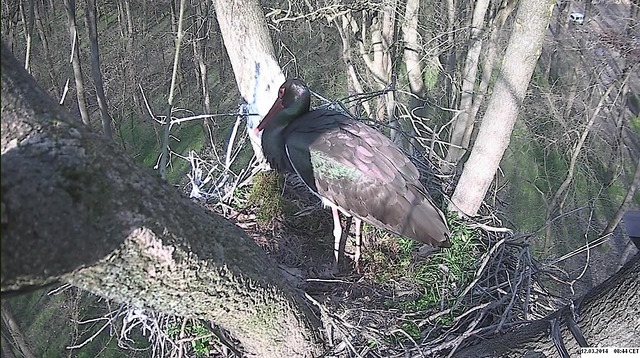 There soon should be eggs to watch. Have a healthy return home! macko50 - The Hungarian BS near Gemenc seems to have disappeared, didn't he? 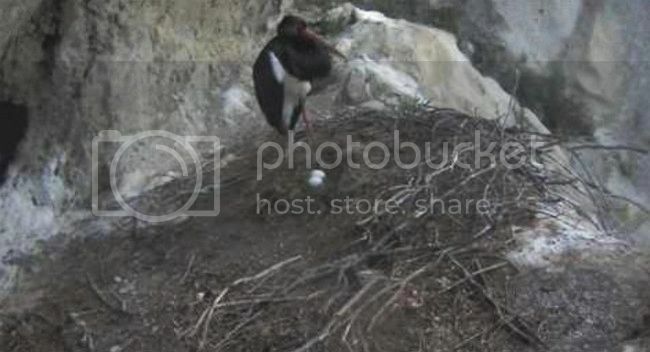 Did this nesting site exist since longer? Thanks a lot - köszönöm! 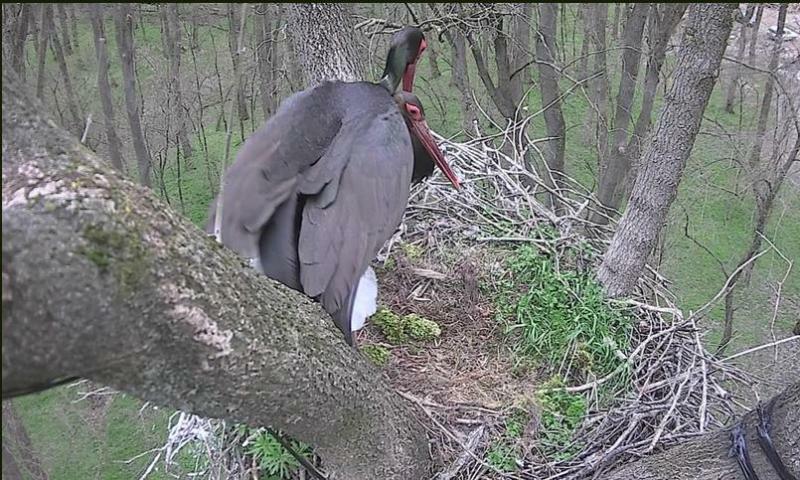 BS male is only standing still in the nest now. In the French Migration mission site (http://www.migraction.net/index.php?m_id=112&langu=en#) I can't find any signs of observed BS from Spain until now. But instead of the virtuality in front of a PC we can see "in real-time" what comes back, don't we?! Katinka wrote: - The Hungarian BS near Gemenc seems to have disappeared, didn't he? 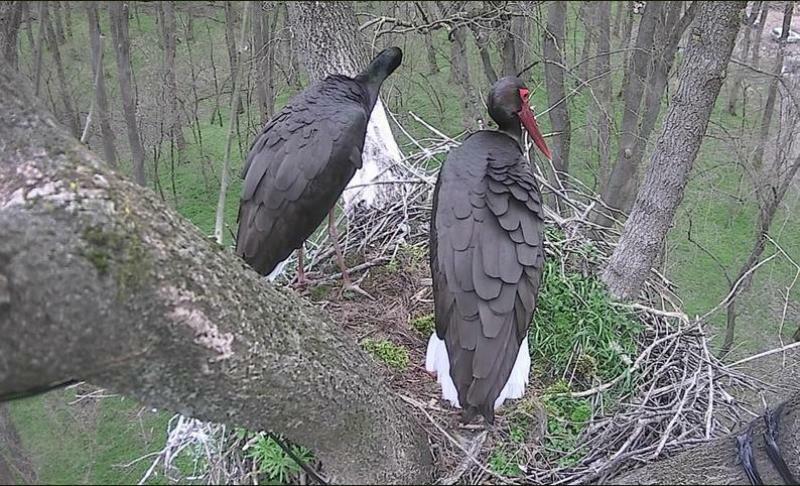 There are two nests with cams near Gemenc. 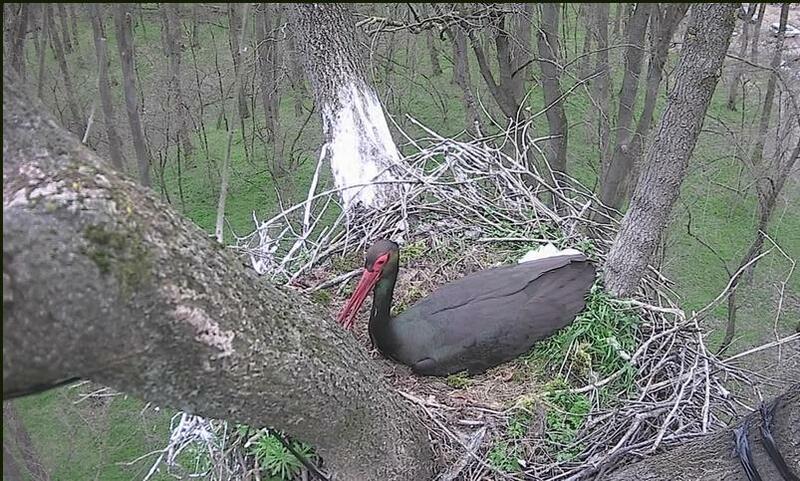 One of the storks called Tobiás has arrived. Tobiás is the male. A short video about Tobiás. Tóbiás, mmh: a beautiful old name for this beautiful black! I only can watch the BS moves back from the South on the BIRDMAP. Excellent, Leonia and Macko! I just opened the link and there is Tobias, in the very early morning light. Cam in link doesnt work for me, at the moment. Here you are, dear Katinka! Ähemm, but "behind" the pic is NOT the original web address, baska !? No.... should it have been, Katinka? Furthermore, on the one hand I don't kow how to do that, on the other hand, George has alredy posted the link. 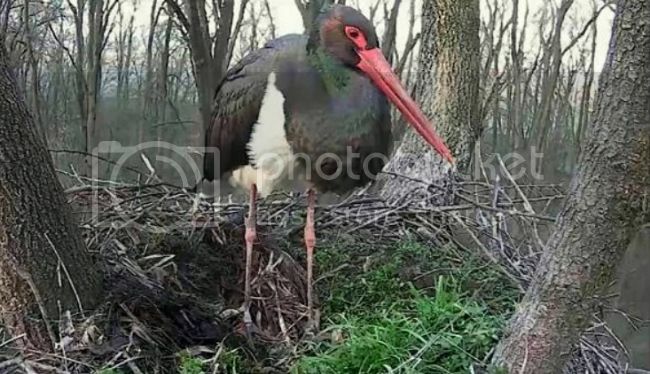 There are two Black Storks in Hungarian nest! The female has no rings. Her beak, areas around the eyes, and legs are darker (less red) than those of Tobias. 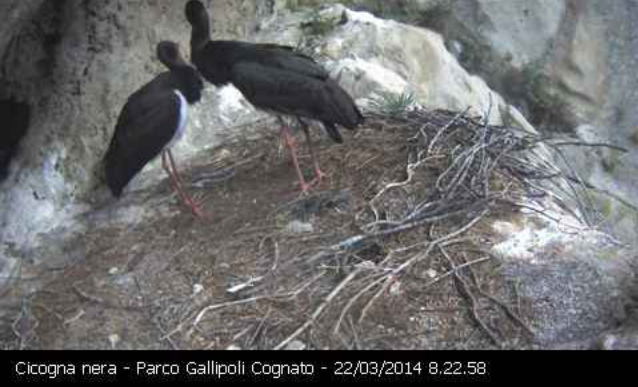 10:16 (CET) Introduction to mating? Unfortunately, I don't know whether there has been a successful mating, because the next picture appeared a few minutes later only. It is a pity that the image loads quite slowly and too rare. 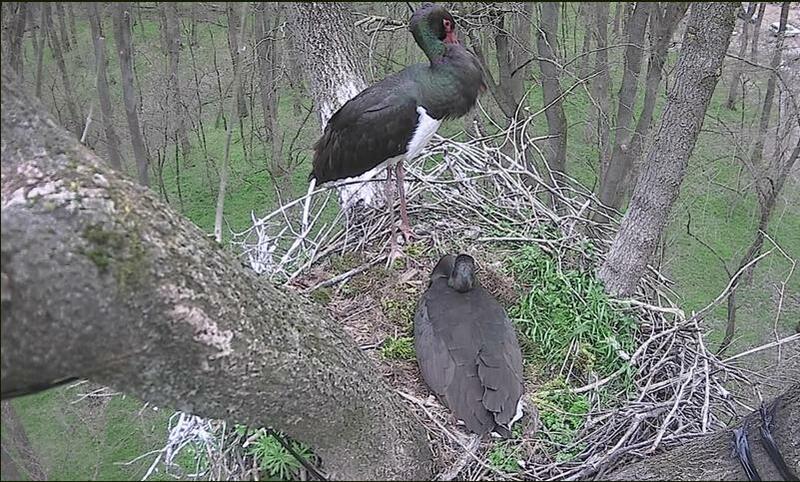 Anyway, Tobias signals that he is ready to incubate eggs. 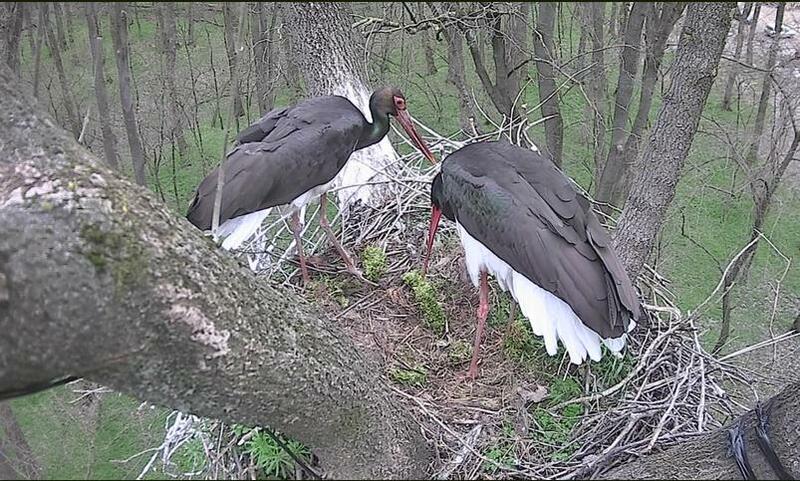 Hungarian Black Stork couple still together. 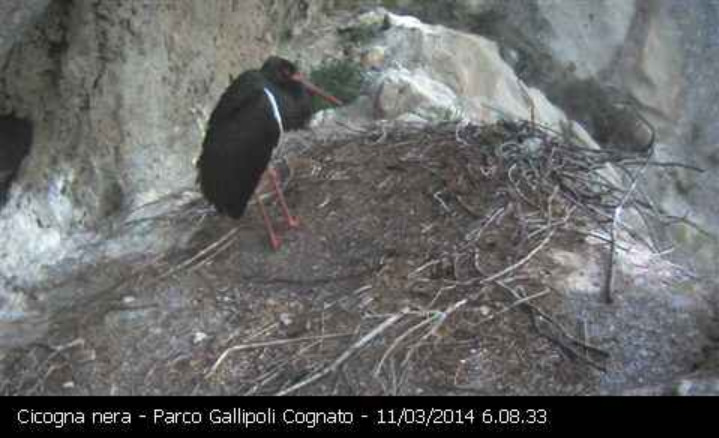 Early in the morning Tobias waited patiently until the female comes back from breakfast. 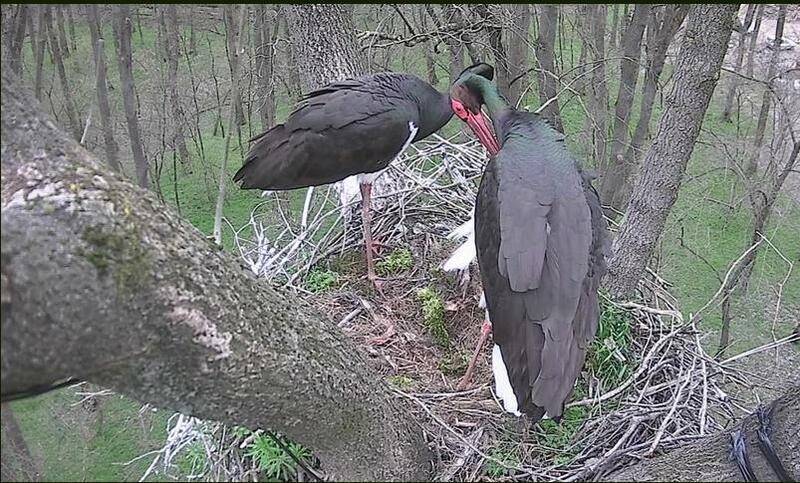 When she arrived, first he lovingly greeted her, and then, at an interval of 10 min., the storks mated twice. 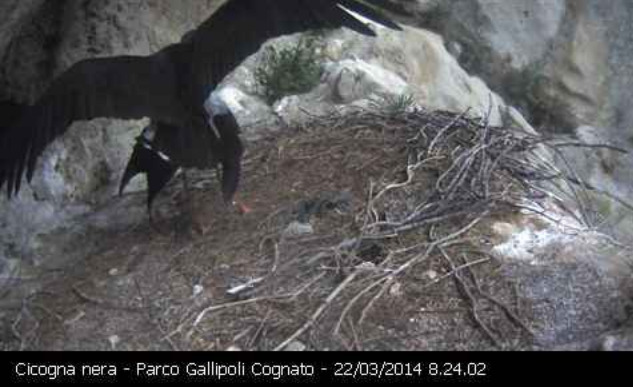 I do hope that we can expect the first egg in the coming days.